Country charmed farm animal checks have designs of funny pigs, furry chicks or combative roosters, along with tractor equipment that has taken on the romance of an earlier farming era. Old McDonald never had it so good! Though modern technology has moved most Americans off the farm and into the city, there's a nostalgic necessity in what still goes on in the rural stretches of the country. Let your farm checks reflect those values that have made our farms the foundation for the good life that is still proudly American. Don't forget to order farm animal checkbook covers and farm animal address labels online. Life on the farm may be familiar to many folks. Where milking cows, plowing fields and riding on tractors are a daily occurance on a lot of farms. Your deep rooted love of the country life has brought you to view our special collection of Farm Animal Checks. Whether you want to remember the rooster crowing at dawn or the cows mooing in the fields, you'll be sure to find your favorite farm scene checks online. 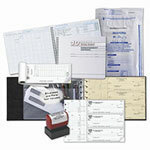 With cheap check prices, secure ordering and fast delivery these personal checks are the best. Thank you for shopping at Value Checks where you can buy checks online cheap!